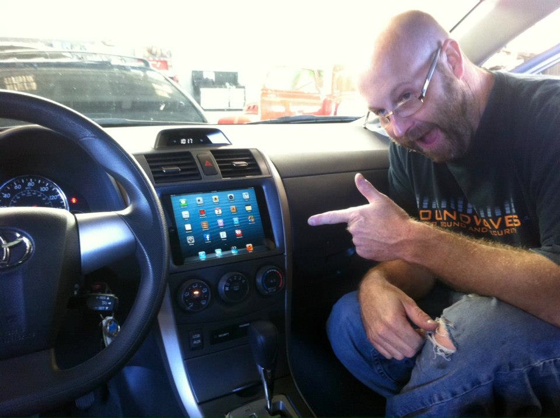 The iPad mini was released just hours ago and Soundwaves of Tampa has already installed the iPad mini in a 2012 Toyota Corolla. Now you can have a full touchscreen dash with your favorite apps like Pandora and iHeartRadio. Unfortunately the cellular version of the iPad mini has not yet been released yet, so you will have to have a Wi-Fi connection, have the iPad mini tethered to your iPhone or have some other MiFi type wireless hotspot. Check out the video below. Makes me want to install one in my car now. What about you?